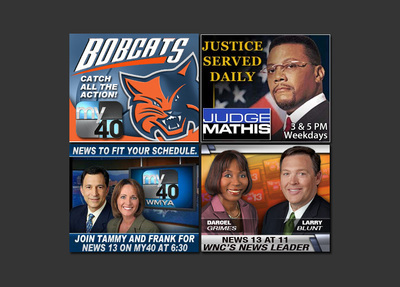 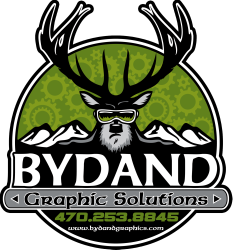 For 7 years I worked at WLOS-TV / WMYA-TV in Asheville, North Carolina in the art department creating on-air graphics for newscasts as well as creating advertising media for sales. 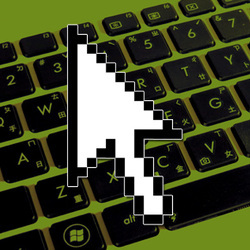 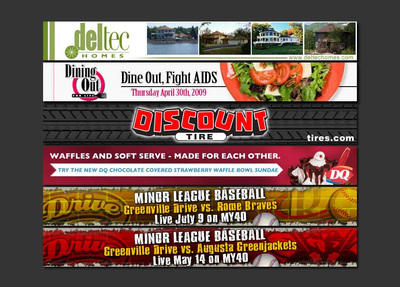 Web advertising consists of three standard types of banner ads which are placed in various locations of a website's layout. 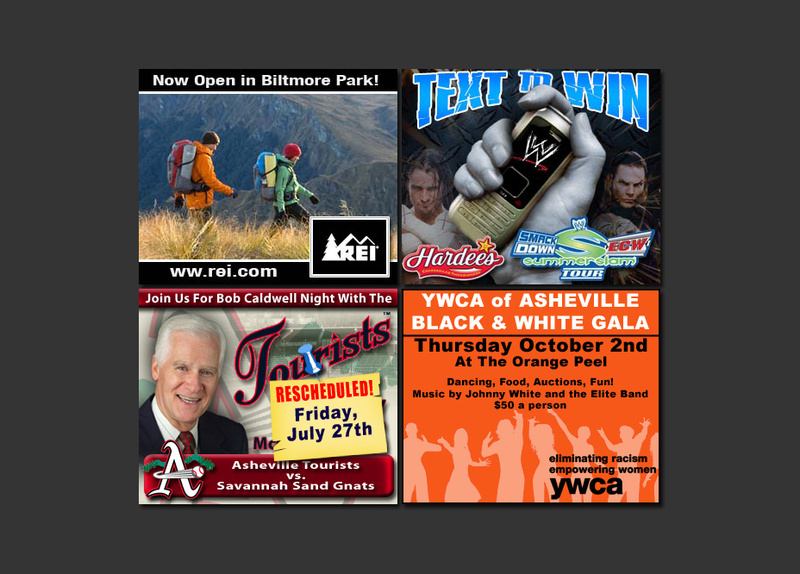 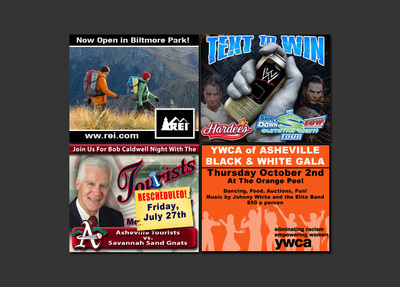 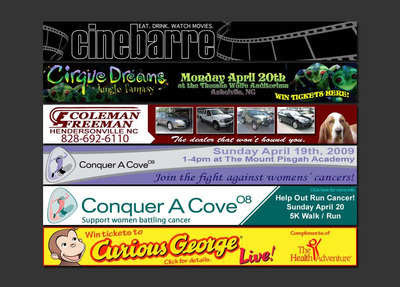 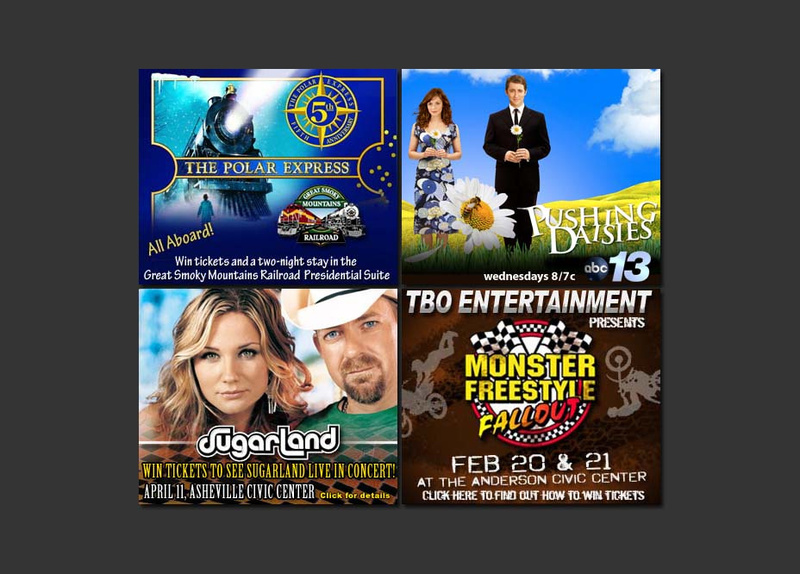 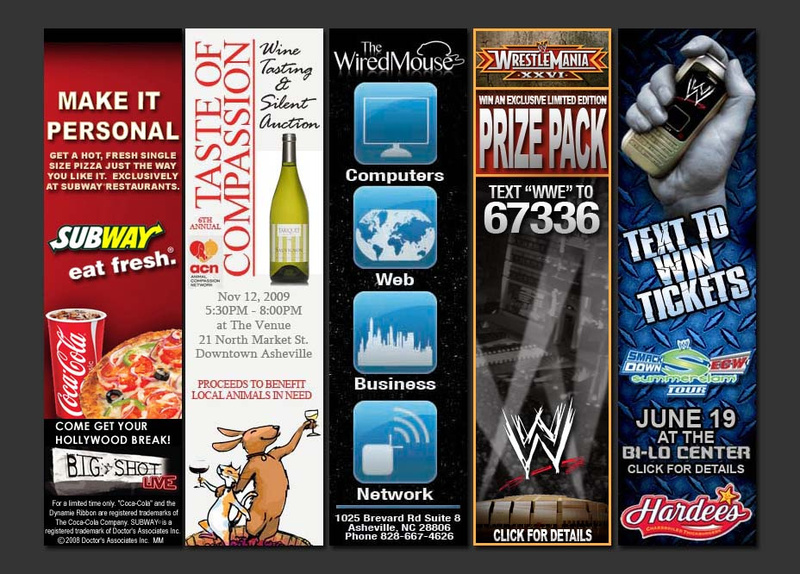 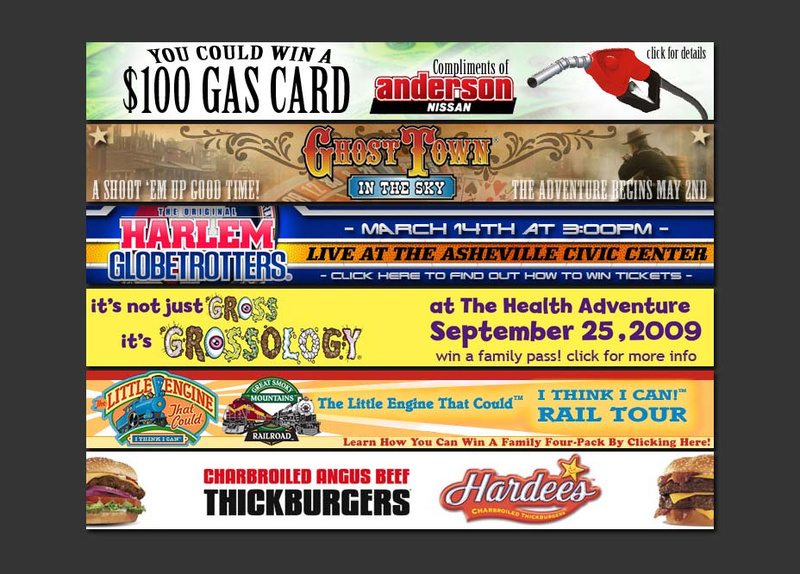 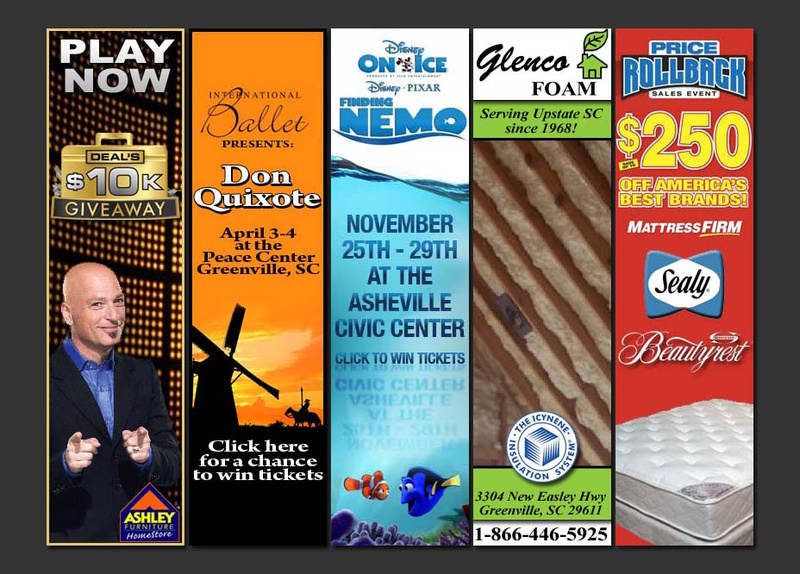 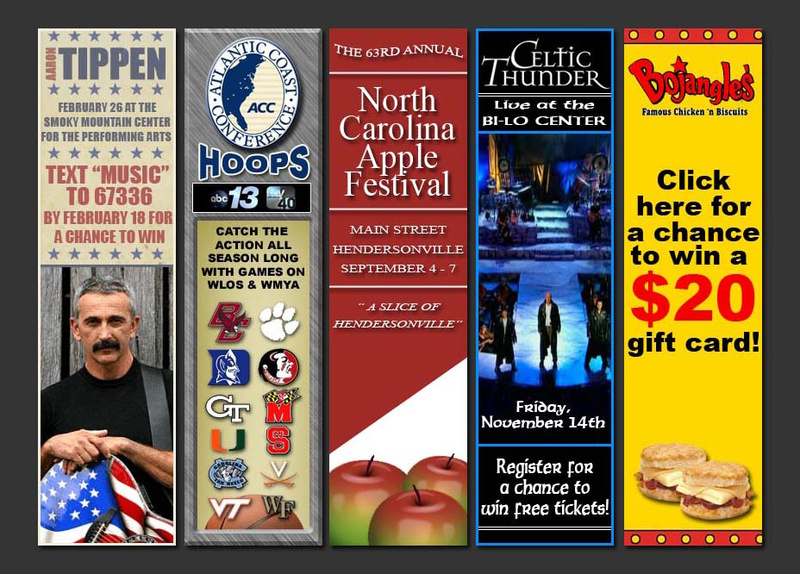 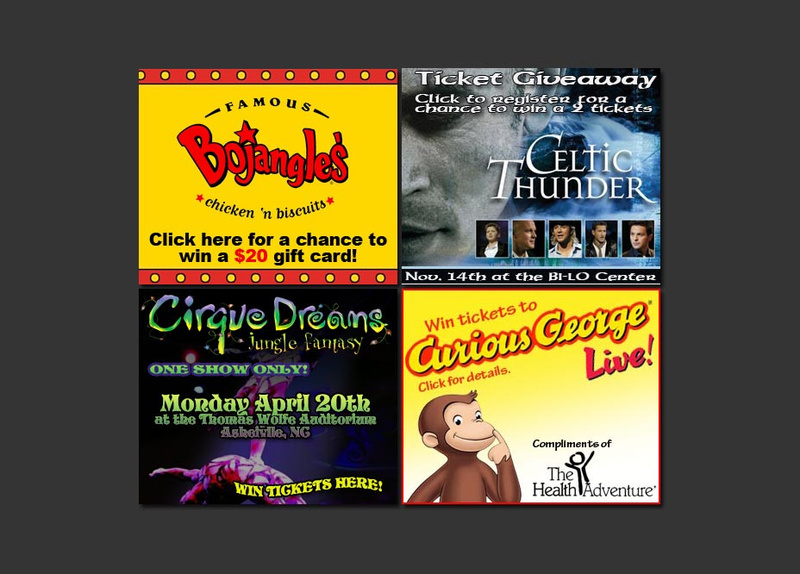 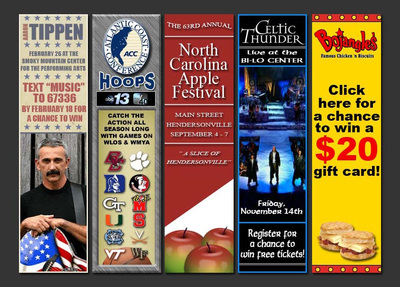 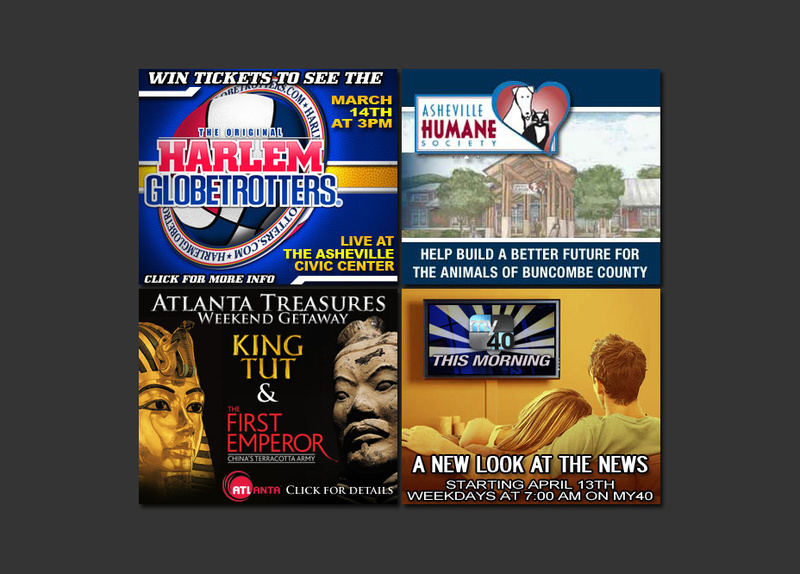 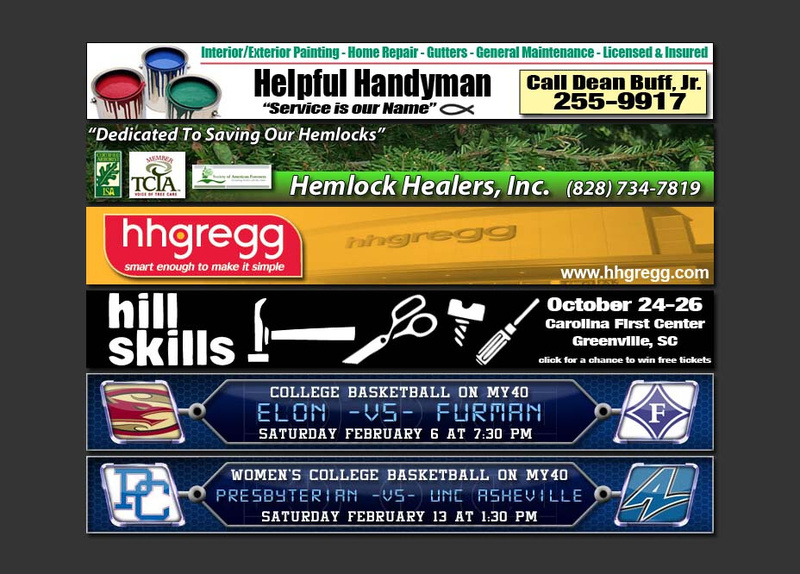 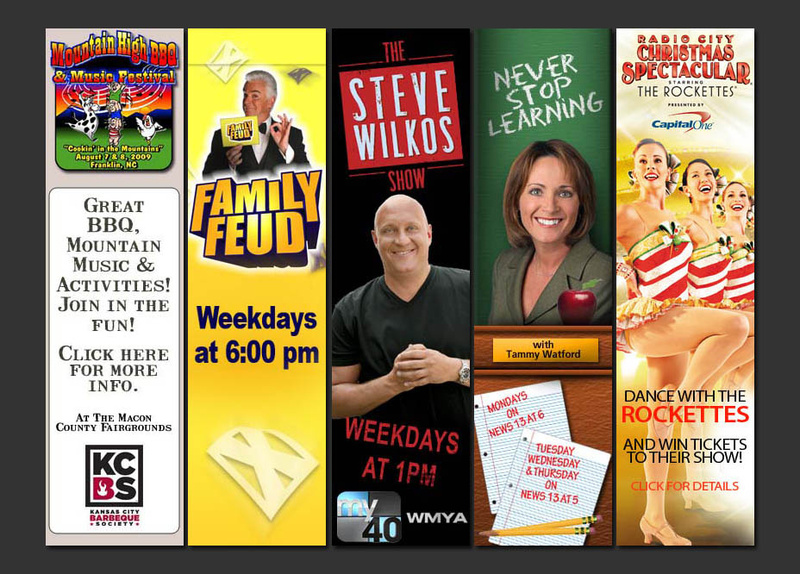 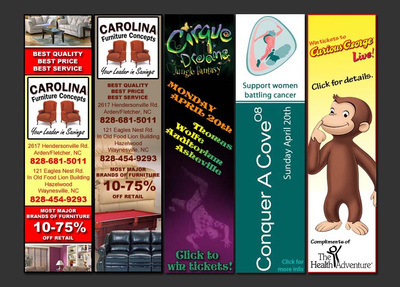 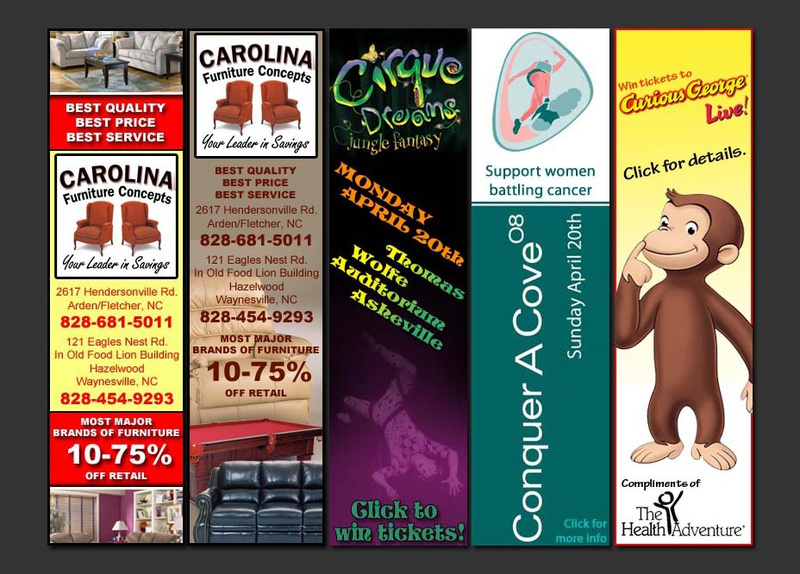 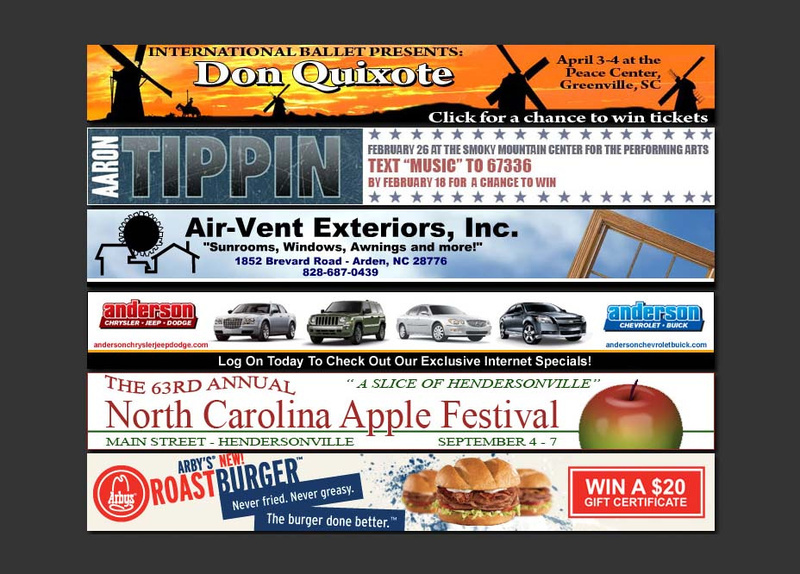 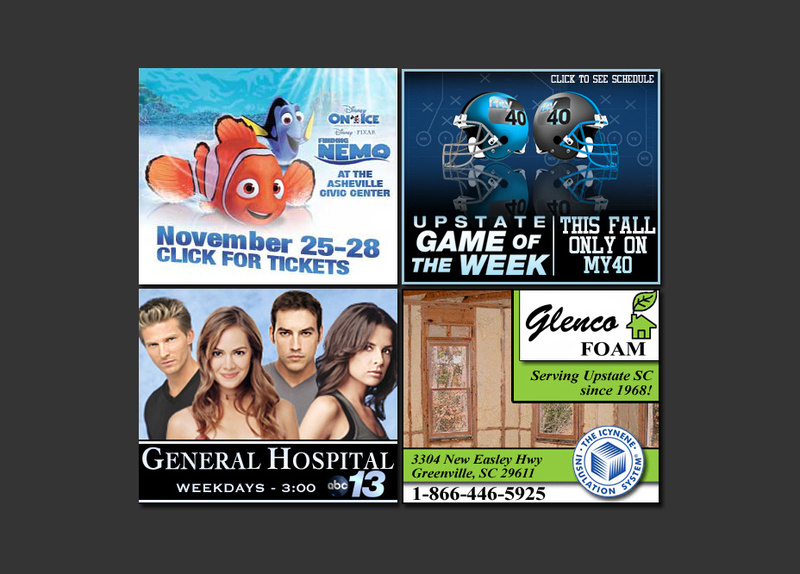 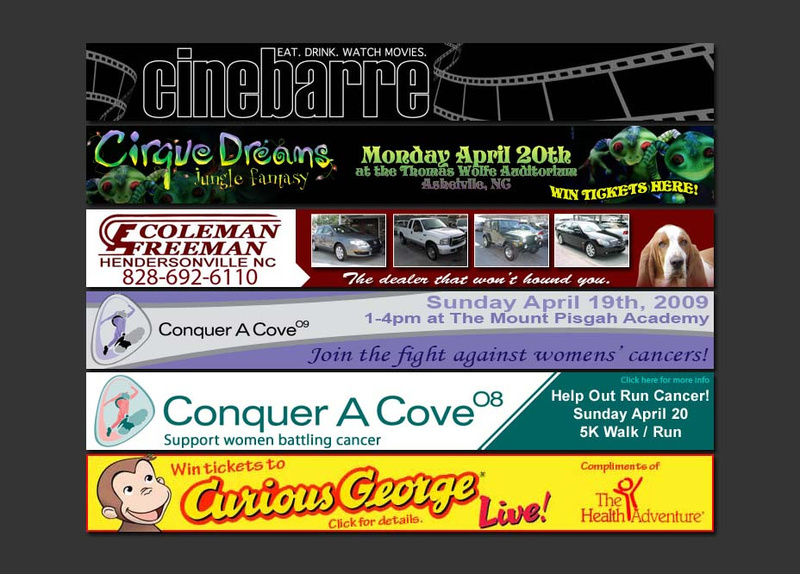 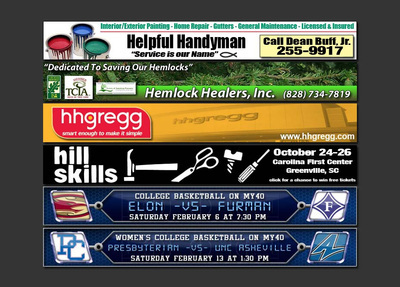 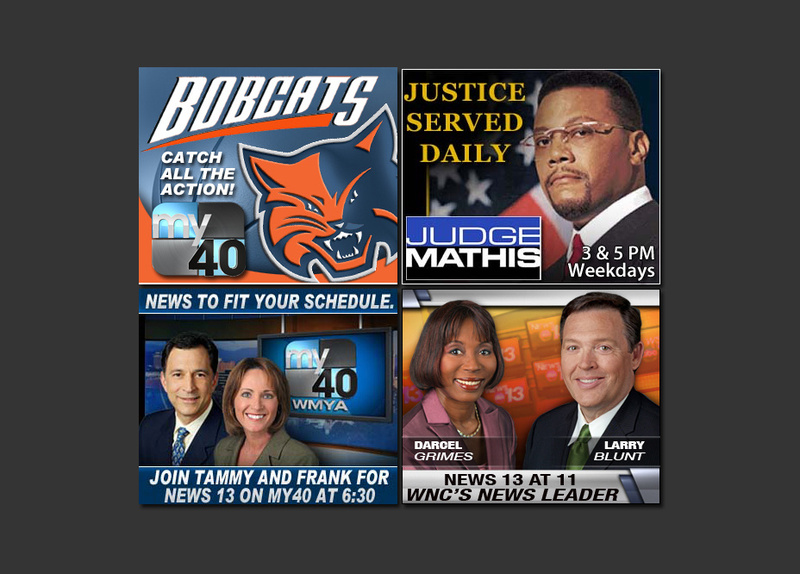 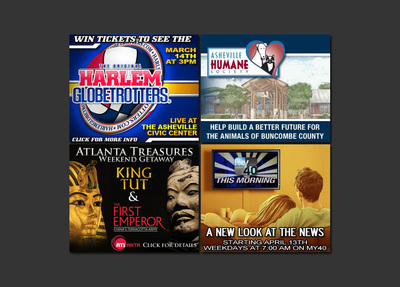 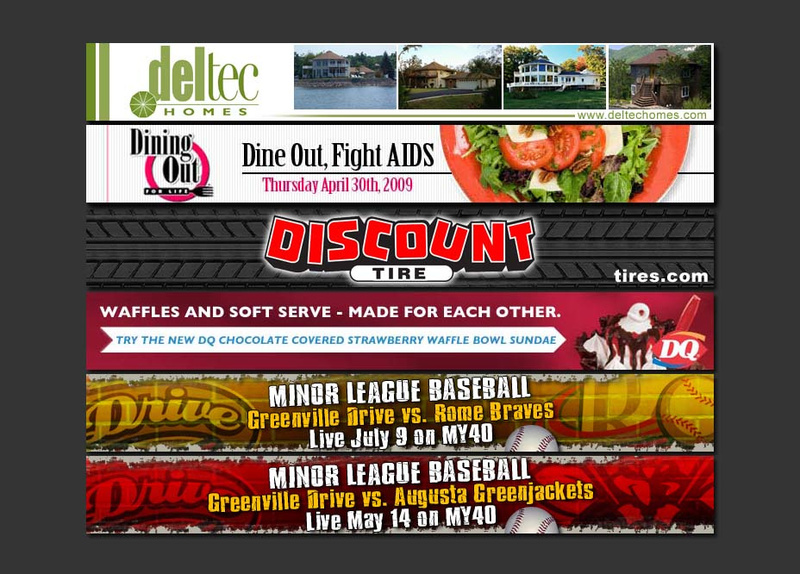 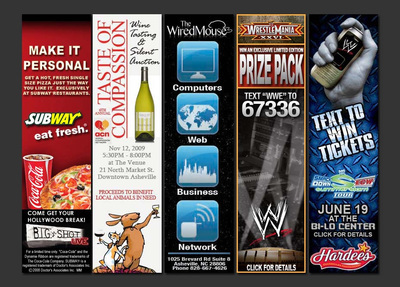 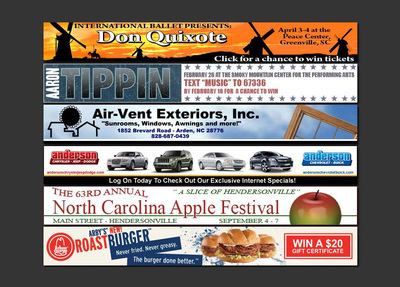 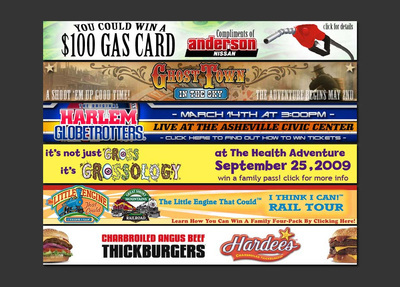 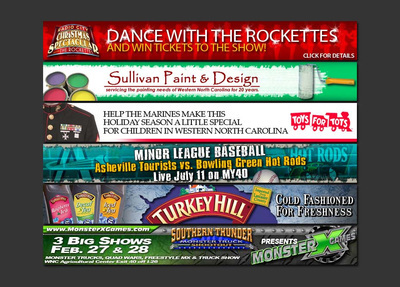 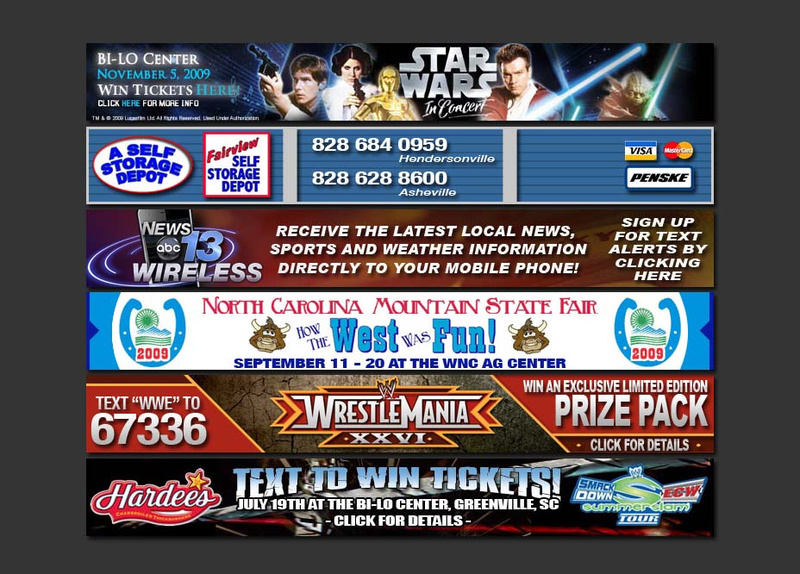 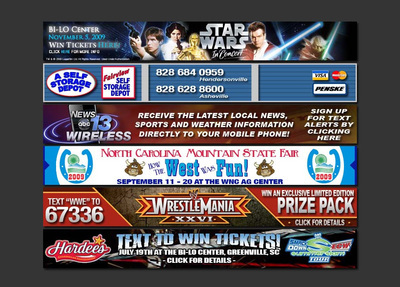 Below are samples of banner ads I created during this tenure.